Dannic has continued to build his reputation over the past year, playing to various crowds all over the world, including those at EDC Las Vegas, Tomorrowland and Dance Valley as well as performances at world famous clubs like Pacha in Ibiza, Hakkasan in Las Vegas, Ministry of Sound in London and Green Valley in Brazil. He’s also dropped a series of releases on some of the scene’s most recognisable labels. Following the release of his latest Revealed Recordings effort, ‘Lion’, which may follow previous track ‘Blueprint’ to the top of the Beatport chart, Dannic’s stock continues to rise. With the lead up to his residency at Las Vegas club Light, his level of support continues to grow and he recently surpassed 100k followers on Twitter. 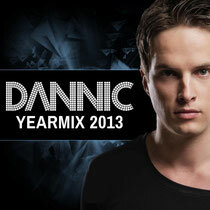 So, to repay the loyalty shown by his fans, Dannic is giving away an exclusive 2013 year mix, which is a compilation of his favourite tracks and edits which he featured in sets last year. Grab your copy below.